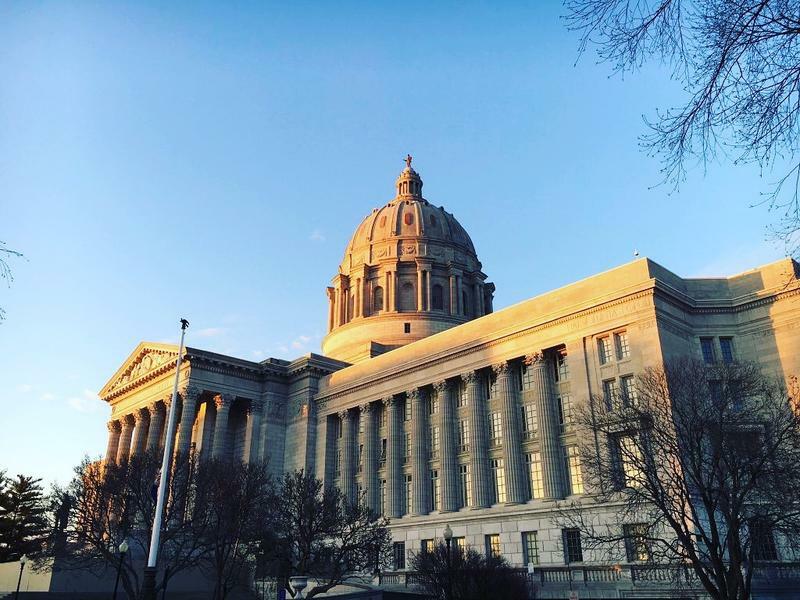 Missouri's transportation system appears to have taken one step forward and one step back in the aftermath of this year's legislative session. It didn't get any increase in the fuel tax, but a cost-sharing program was revived. 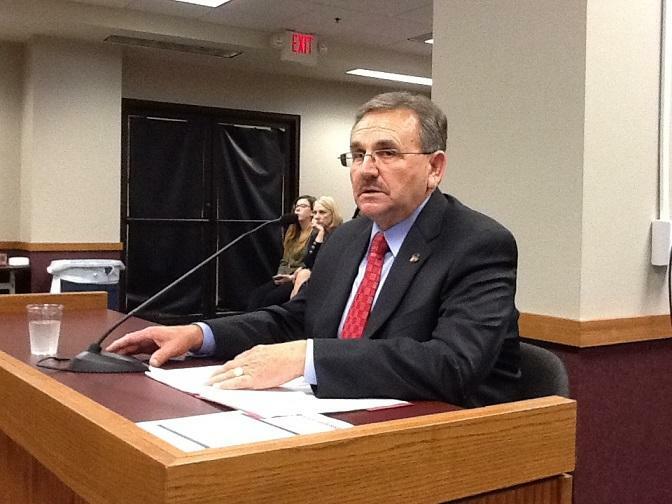 First, the House failed to take up and vote on the Senate's proposal to raise Missouri's fuel tax by 6 cents a gallon. Had the legislature pass it, it would have also required voter approval this fall. 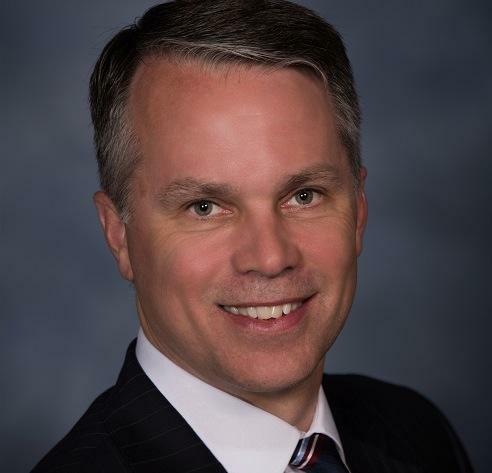 Patrick McKenna, director of the Missouri Department of Transportation, suggests his agency needs to work harder at letting lawmakers know that more revenue has to be found for transportation. "I believe we have more work to do in convincing the public and the public's representatives what and how the size and scope of the transportation network should be and how it’s funded," McKenna said. "We need some more time and effort, I guess, in that process." 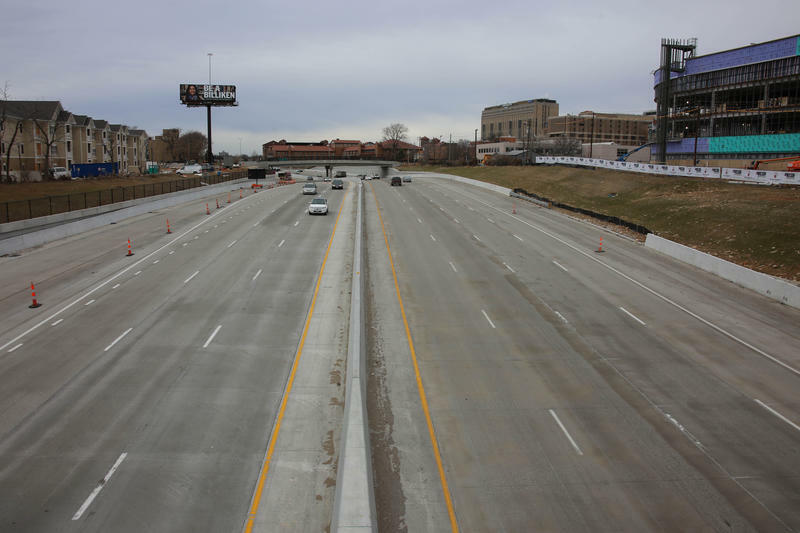 The step forward was the revival of the state's cost-share program, in which local governments pay part of the cost of a road or bridge project in exchange for speeding up construction. Lawmakers approved $20 million to reboot the program effective July 1 — by comparison, the program contained $40 million a year before it was suspended in 2014. Still, McKenna calls it a positive move. "As you can imagine, there are a lot more needs out there than what $20 million can deliver," he said, "so we have to bring a sensible plan forward to the (Highways and Transportation) commission for its adoption, and one that we hope will make people satisfied with the program itself." Those needs include numerous aging bridges across Missouri. In the St. Louis area, for example, a bridge on MoDOT's critical condition list carries U.S. Highways 61 and 67 across a branch of Brauhn Creek in Jefferson County. Underside of a bridge across U.S. 61-67 in Jefferson County, built in 1900. That bridge was built in 1900, making it 116 years old. 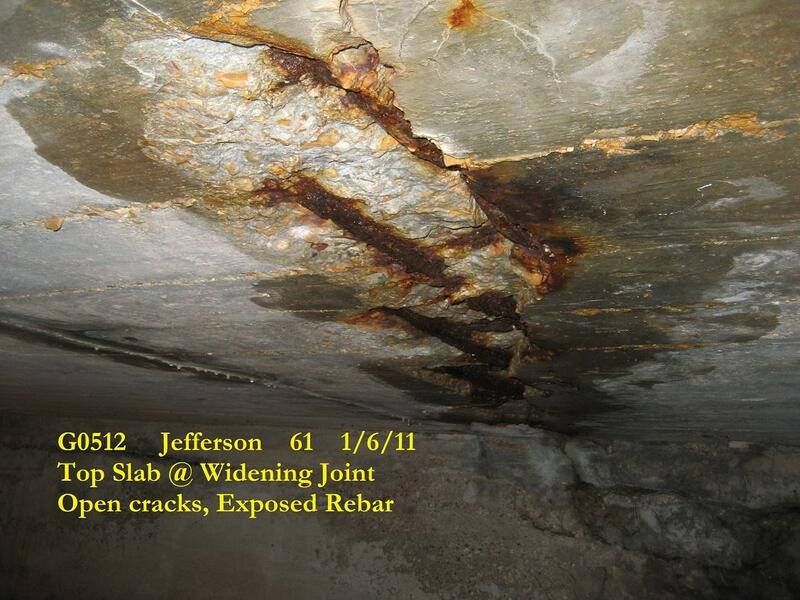 "It's still going, but (it's) in rough shape," said Dennis Heckman, MoDOT's state bridge engineer. "That (would) be one of the oldest (bridges) in the state; I can't say it's officially the oldest in the state, because we have a few we're not sure when they were built ... there's no record." Another bridge that carries southbound traffic along U.S. 61/67 in Jefferson County is also on the critical list; it was built in 1923. In St. Louis, the Broadway viaduct that passes over Interstate 70 in St. Louis is on the list. Whether any of those bridges would qualify for the cost-share program has yet to be determined. 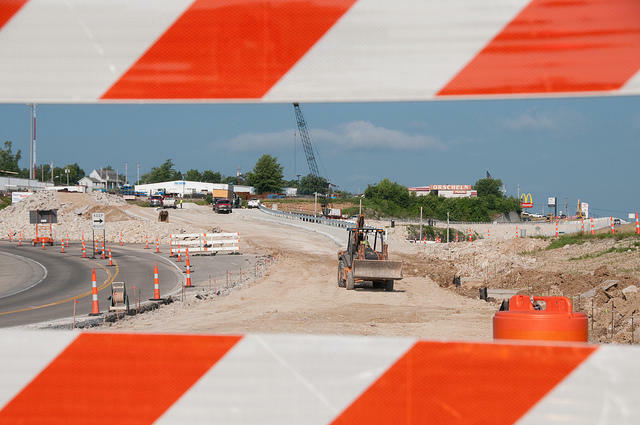 The Highways and Transportation Commission is expected next month to approve the rules for applying for funding under that program. "I think there will be more people dissatisfied than satisfied," McKenna said, "but progress is being made and can be made, not on a wide scale, but certainly for any projects that get approved ... the local communities will be very pleased."